1) Goat Curry at Just Curry. Even before its grand opening at 11:30 am last Wednesday, a line of people had already begun to form at the newest location of Just Curry, at 425 E. Main St on the downtown mall. It had been years since loyal customers of chef Alex George’s much-missed curry joints had been able to enjoy his curries, with the last of the transient outposts closing in 2009. Of course, George has been busy in the interim, first opening Cinema Taco and then Commonwealth Restaurant & Skybar. Now George, who came to Charlottesville as a private chef, has brought back the restaurant that originally won him a following in Charlottesville, serving six different types of curry in three different sizes — along with a handful of sides. George was born in Guyana, a South American country that is technically part of the Caribbean, but is heavily populated by people of Indian descent. Hence, his curries are a blend of Caribbean and Indian styles, like the kind he grew up on. 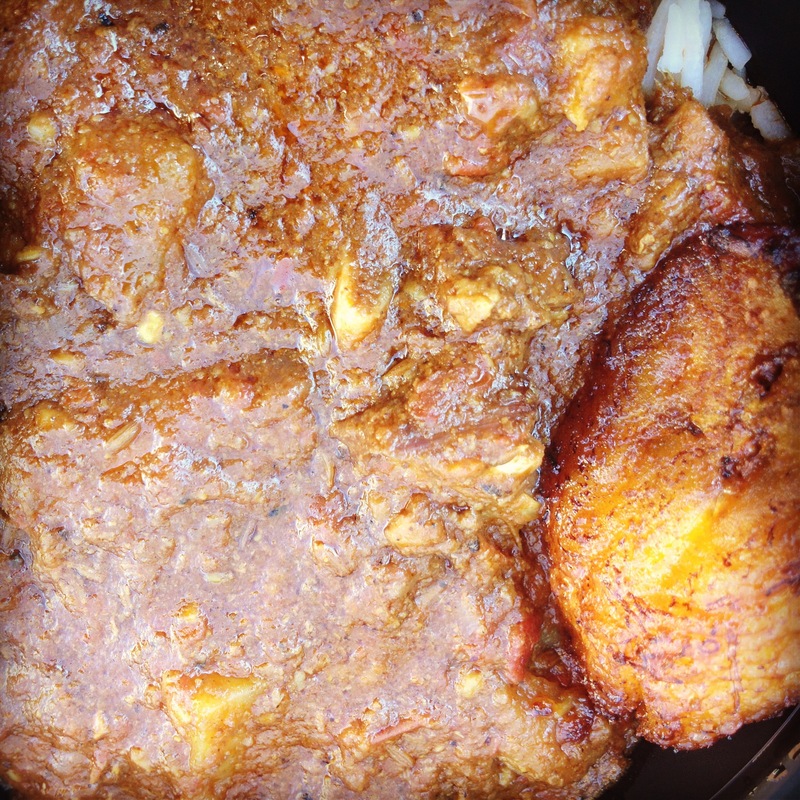 Our favorite is the goat curry, especially after we stir in the fiery house-made hot sauce. 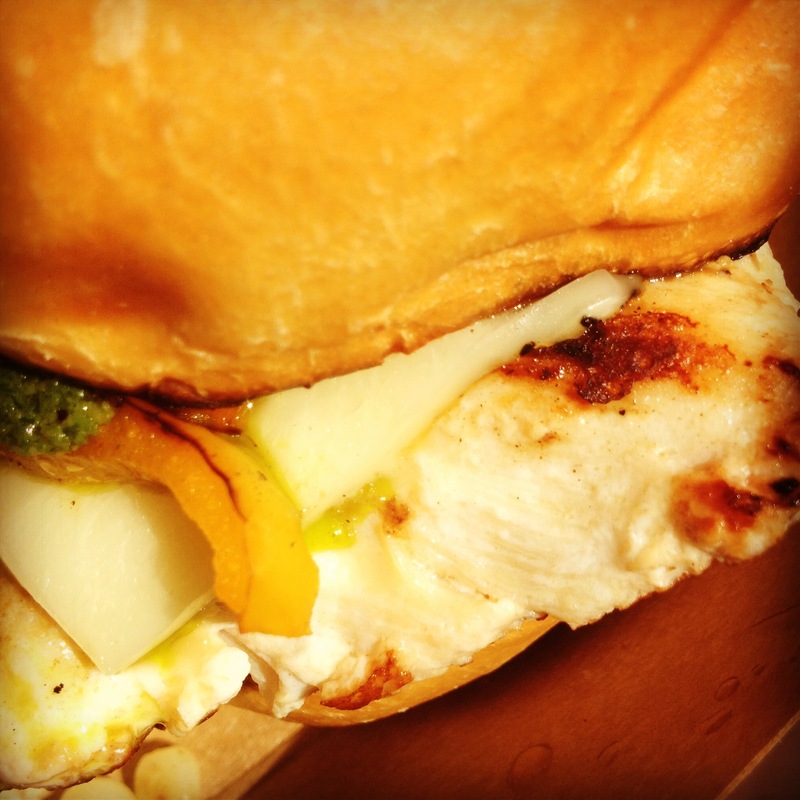 2) Chicken Slider at Mouth Wide Open. We’ve never fully understood why the food truck phenomenon has been slow to catch on in Charlottesville, which seems ripe for food trucks, with its mix of residents who are both food-obsessed and short on pretense. The recently launched Mouth Wide Open is doing its part to change that. Owners Keshia Barnett-Wert and Justin Wert have eaten all around the country, and are now using sliders to re-create their favorite foods from different regions, all from an old ice cream truck that they gutted and converted into a full-service kitchen. “Cooking has been a passion of mine from an early age,” says Keshia, who was at Ole Miss when she met her husband Justin, who now teaches at PVCC. Skeptics of the slider concept need not worry. After several visits, we can confirm that the execution is solid, in no small part because of the skilled cook, Robert Wilfong, who has worked in the kitchens of High Meadows Vineyard Inn, The Nook, and The Whiskey Jar. All of the sliders are served on excellent locally-made yeast rolls, which bear some resemblance to Parker House rolls. The fillings are consistently good as well, such as beef with jalapenos or crabcake with corn and avocado salsa. But, our favorite has been the grilled chicken with pesto, which has a nicely charred exterior without a dried-out interior. Mouth Wide Open serves lunch most weekdays and also has a frequent weekend dinner gig at Champion Brewing Company. To keep track of their hours and location, follow them on Twitter and Facebook. Mouth Wide Open is a great addition to the Charlottesville food scene. Here’s hoping they help spark a food truck trend.